While people from all over the world venture to Napa, California for the exceptional vineyards and beautiful weather, visitors and residents alike can have their day turn quickly if they suffer a truck accident. Because of the length and weight of trucks, these accidents have a propensity for becoming major accidents in terms of damage to property and personal injury. Furthermore, the tendency of trucks to be commercial vehicles can create further complications if the inventory in the truck was hazardous in nature. When a truck is involved in an accident, the collision often involves a smaller vehicle, such as a minivan, SUV, or sedan. Because of the size disparity, the smaller vehicle can be absolutely destroyed in the process, leading to significant damage to personal property and possibly fatal injuries for the passengers in the other vehicle. Those who survive this accident often do so with serious injuries that require a long stay in the hospital, perhaps in the ICU, along with surgical procedures. This leads to large medical bills that can place financial stress on almost any family. When an auto accident involves a semi-truck or an eighteen-wheeler, the outcome is almost never a good one. Driving in a negligent manner, including backing up, changing lanes, turning improperly, and not leaving proper following distance between their truck and the next vehicle. All of these causes can lead to serious accidents that include a truck jackknifing, rolling over, or simply colliding with the rear of another vehicle. It is also not unusual for a passenger vehicle to slide underneath the trailer of a truck, leading to significant injuries. Furthermore, cargo from the back of a truck could fall off and significantly damage other vehicles on the road. All of these causes are completely preventable, as are the traumatic injuries that can result from them. 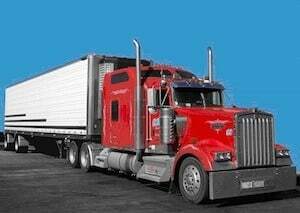 Because of the serious nature of operating a tractor-trailer, the government has imposed limits that govern the manner in which truck drivers can operate their vehicles. There are limits involving how many hours the truck driver can be behind the wheel in a given timeframe in order to ensure that these drivers get a proper amount of rest. These limits have been imposed for the safety of the drivers and those who are around them; however, it is not unusual for truck drivers to drive in excess of these limits for reasons of product delivery deadlines or pay. When this happens, this places themselves, their cargo, and other people on the road at serious risk. I’m Ed Smith, a Napa Truck Accident Lawyer. Because of the sheer size of trucks, these accidents often end in significant personal injuries and damage to personal property. If you have suffered injury in a truck accident, please reach out to me today at (707) 564-1900 for friendly, free advice. I am a member Million Dollar Advocates Forum in California. This is a group that is made up of some of the top-rated trial attorneys the country has to offer. Every member of our group has won million or multiple million-dollar verdicts in cases for past clients. I encourage all of my visitors to view my verdicts and settlements page. See my client reviews on Avvo (the site for lawyer reviews), Yelp, and Google.